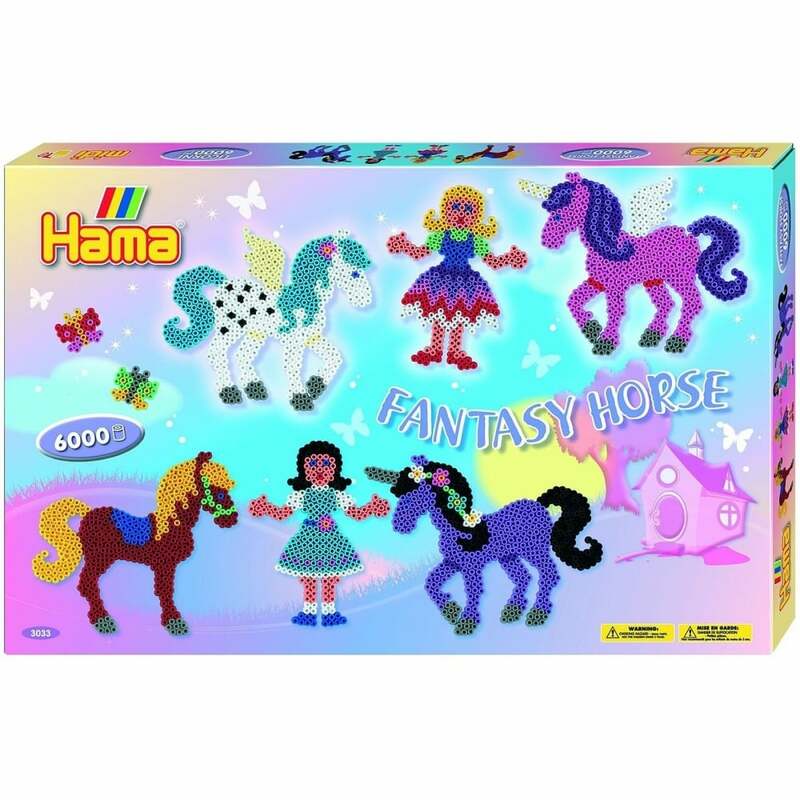 Create great designs with the Fantasy Horse bead gift box, you can have hours of fun creating fantasy horse designs in pretty colours. The set Contains 6,000 beads, 2 pegboards, colour printed design sheet, instructions and ironing paper. Adult supervision ma be required.